Designing and Conducting Business Surveys provides a coherent overview of the business survey process, from start to finish. 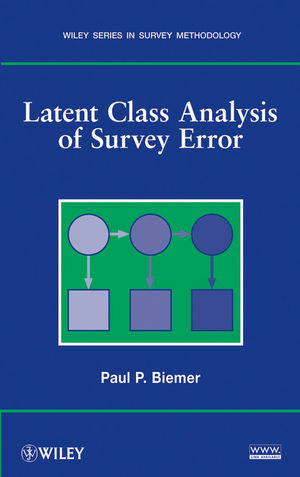 It uniquely integrates an understanding of how businesses operate, a total survey error approach to data quality that focuses specifically on business surveys, and sound project management principles. 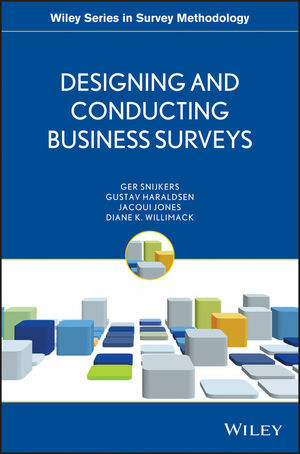 The book brings together what is currently known about planning, designing, and conducting business surveys, with producing and disseminating statistics or other research results from the collected data. This knowledge draws upon a variety of disciplines such as survey methodology, organizational sciences, sociology, psychology, and statistical methods. The contents of the book formulate a comprehensive guide to scholarly material previously dispersed among books, journal articles, and conference papers. Designing and Conducting Business Surveys is an indispensable resource for anyone involved in designing and/or conducting business or organizational surveys at statistical institutes, central banks, survey organizations, etc. ; producing statistics or other research results from business surveys at universities, research organizations, etc. ; or using data produced from business surveys. The book also lays a foundation for new areas of research in business surveys. GER SNIJKERS, PhD, is Senior Researcher and Advisor in Business Survey Data Collection Methodology at Statistics Netherlands, after having held various research and project management positions. From 2006-2011, he held the position of Professor of Business Survey Methodology at Utrecht University. GUSTAV HARALDSEN, Mag. Art., is Senior Methodological Advisor in the Department of Data Collection and Methods at Statistics Norway. He previously headed the Division for Interviewing Surveys and the Division of Data Collection Methods. JACQUI JONES, BA (Hons), MSc, is Deputy Director of the Business Indicators and Balance of Payments Division in the UK Office of National Statistics (ONS). Prior to this, she worked in the Methodology Directorate at ONS. DIANE K. WILLIMACK, MS, MA, is Chief of the Response Improvement Research Staff at the Economic Programs Directorate of the U.S. Census Bureau. She previously served as a mathematical statistician and survey methodologist at the National Agricultural Statistics Service (U.S. Department of Agriculture). Additional contributors include Paul Smith (ONS), Deirdre Giesen (Statistics Netherlands), Li Chun Zhang (Statistics Norway), and Mike Hidiroglou (Statistics Canada).